[PDF] The Egyptians: A Radical History of Egypts Unfinished Revolution | Free eBooks Download - EBOOKEE! 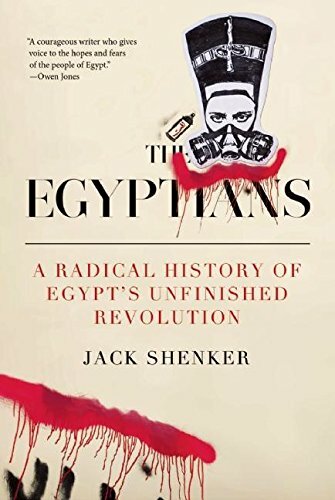 Description: In The Egyptians, journalist Jack Shenker uncovers the roots of the uprising that succeeded in toppling Hosni Mubarak, one of the Middle Easts most entrenched dictators, and explores a country now divided between two irreconcilable political orders. Challenging conventional analyses that depict contemporary Egypt as a battle between Islamists and secular forces, The Egyptians illuminates other, equally important fault lines: far-flung communities waging war against transnational corporations, men and women fighting to subvert long-established gender norms, and workers dramatically seizing control of their own factories. Putting the Egyptian revolution in its proper context as an ongoing popular struggle against state authority and economic exclusion, The Egyptians explains why the events of the past five years have proved so threatening to elites both inside Egypt and abroad. As Egypts rulers seek to eliminate all forms of dissent, seeded within the rebellious politics of Egypts young generation are big ideas about democracy, sovereignty, social justice, and resistance that could yet change the world. No comments for "[PDF] The Egyptians: A Radical History of Egypts Unfinished Revolution".